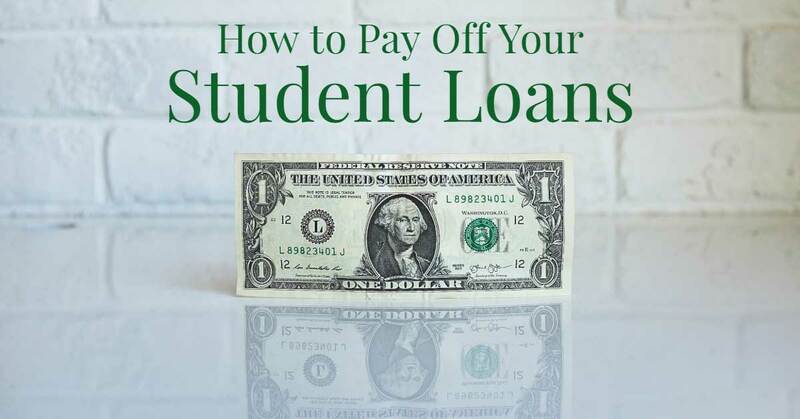 Whether you’re a college student who’s looking to put some of his work-study money to use (after paying down your student loans, of course! 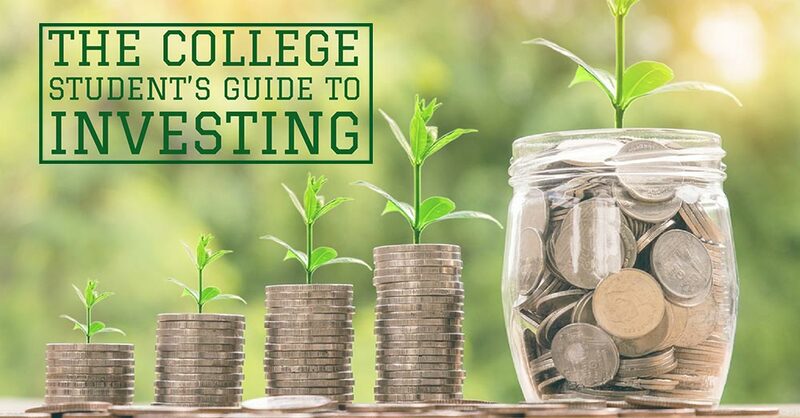 ), a recent graduate with big plans for the future, or a parent looking for ways to boost your child’s college savings account, you know that you need to start investing if you want to reach your goals. But knowing that you should start investing and actually starting are two very different things. For a lot of people, the sheer number of investment options and terminology makes starting incredibly difficult: How are you supposed to start investing if you don’t even know where to begin? That’s why I decided to pull together this list of investment terms and definitions that all beginners should know (or at least be familiar with) before opening their first investment account. This page is by no means exhaustive—there are literally hundreds of terms related to investing. It is simply meant to offer a foundation of knowledge that you can use as a springboard as you get started. 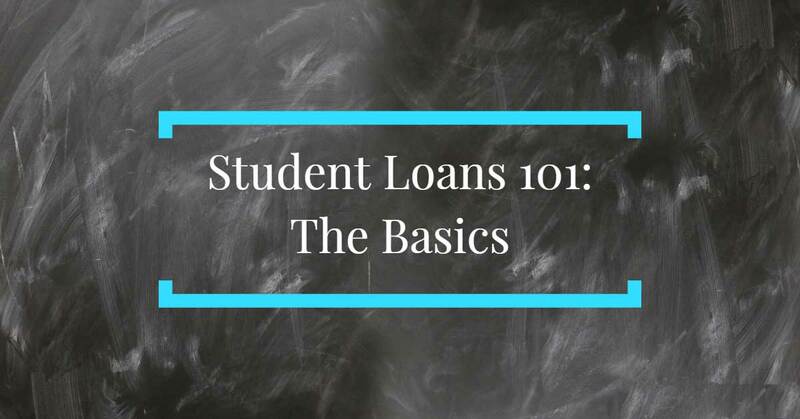 Looking to wrap your head around the basics of financial aid? 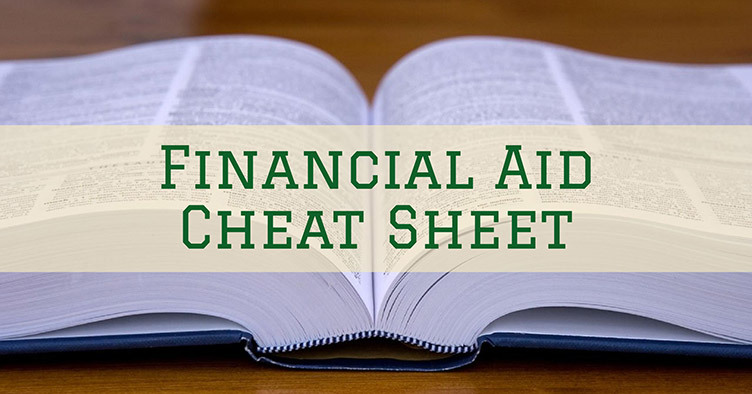 Check out our Financial Aid Cheat Sheet, which includes a glossary of all the most important financial aid definitions and terms! To make this page as useful as possible, I’ve organized the investment terms and definitions by “Type.” This will hopefully make it a little bit easier for you to find what you are looking for. Asset: Broadly speaking, the term “asset” simply refers to an investment. Every investment that you own is an asset which is (hopefully!) earning you money. Asset Class: “Asset class” refers to the type of investment (the class) that an investment belongs to. Common asset classes include stocks and bonds. We look at asset classes in more depth below. Asset Class Allocation: Asset class allocation (sometimes simply called “allocation”) refers to the percentage of your portfolio that is dedicated (allocated) to different classes of investments. Different asset classes have different characteristics and react differently to changes in the market. For example: If stocks fall drastically, it is likely that bonds will hold steady in value or even rise. By creating a portfolio that has a mix of different asset classes, you are able to limit some of the risk inherent in investing. Asset allocation is one of the primary methods of diversifying your portfolio. Diversification: Diversification is the process of composing your investment portfolio so that it is composed of multiple types of investments. Investment portfolios are often diversified based on asset allocation: For example, owning stocks and bonds. But it is also important to diversify within each asset class—owning stock in multiple companies, for example. The main aim in diversifying your portfolio is to limit risk while ensuring that your money is able to grow. Owning stock in only one company is incredibly risky, because if that company begins to suffer you can lose all of your money. By investing in multiple companies and in multiple asset classes, you greatly reduce the risk of losing all of your money should the market experience a downturn. Dividend: A dividend is a payment from a company to its investors. This is usually a certain percentage of the company’s profit, paid to investors either quarterly, annually, or on special occasions (for example, an especially profitable quarter). Not all companies pay dividends, and how much a company pays through its dividend can fluctuate (up and down), so it is important to not just invest in a company due to its dividend. The company as a whole should be a sound investment. Holdings: This simply refers to the investments that you own. Index: In investing, the word “index” refers to a collection of stocks that is meant to reflect the performance of all stocks within a certain sector or market. Though it may seem as though an index is composed of all stocks, it is important to realize that it is not—it is simply a broad collection. The Dow Jones Industrial Average (DJIA) which is composed of 30 of the most significant US companies. It is widely seen as a reflection of large companies in the market. The S&P 500, which is composed of 500 of the most commonly-traded US companies. It is widely seen as a reflection of the broad market. The Russel 2000, which includes 2,000 small-cap companies. It is widely seen as a reflection of the performance of small companies in the market. One way that people may choose to diversify their investment portfolio is by modeling their portfolio after an index, often done by investing in index funds (see below). Inflation: Inflation is the increase in the cost of goods and services that happens over time. As inflation continues to rise (and it does, usually at a yearly rate of 1–3 percent), your dollar becomes less valuable. Inflation is one of the primary reasons that people choose to invest instead of simply placing money in a savings account. Because interest rates on savings accounts rarely (if ever) match the rate of inflation, by simply placing money in an account, it will actually lose value over time. By making smart investments, you can at least match (and hopefully outpace) the rate of inflation, allowing your money to grow in value for the future. Investment Timeline: This refers to how long you expect to keep your money invested before you will need to use it. If you are investing for retirement, then you have a long investment timeline. If you are investing with the hopes of buying a a home in, say, 10 years, then you’ve got a medium investment timeline. And if you’re investing with the hopes of buying a car in the next 3 years, then you’ve got a short investment timeline. Knowing your investment timeline is important so that you can properly diversify your portfolio. If you’ve got a long timeline, then you can afford to take on more risk (usually in the form of stocks) because you have more time to make up for any fluctuations or drops in value. If you’ve got a short timeline, then you will likely be much more conservative in your investments (probably through a higher proportion of bonds) since you have less time to make up for any fluctuations in value. Portfolio: A portfolio is simply the sum of all of your investments, including any stocks, bonds, cash, real estate, and anything else you consider an investment. Return: This refers to how much money you make from an investment. This is also called “capital gains.” Return is usually presented as a percentage of the value of your investment. (For example, if you invest $10 in a company and your return is $1, then you’ve got a rate of return of 10 percent). Risk: Risk refers to the likelihood that you will lose money on an investment. All investments carry a certain amount of risk; there is no such thing as an investment that is 100 percent guaranteed to make you money. But certain types of investments are generally seen as more or less risky. Stocks are usually seen as riskier than bonds. Within stocks, large companies (large-cap stocks) are seen as safer than mid-sized companies (mid-cap stocks) which are likewise seen as less risky than small companies (small-cap stocks). Bonds are usually seen as less risky than stocks, but still carry some level of risk compared to cash holdings. Within bonds, government bonds are seen as having the least risk, followed by corporate bonds. Corporate bonds, just like stocks, are classed by risk based on thee size of the company, with smaller companies generally seen as riskier. Cash and cash equivalents are as close to risk-free as possible. But because you are rarely earning interest at a level that matches inflation, by holding a large amount of cash you risk losing value due to inflation. Risk Tolerance: This refers to how much risk you can personally tolerate seeing in your investments. Understanding risk tolerance is one of the single most important parts of creating your investment strategy. For example, if you have low risk tolerance, you won’t be able to stomach seeing your investments fluctuate widely in value. For that reason, you’d likely opt for a more conservative asset allocation (more bonds, fewer stocks). On the other hand, if you have high risk tolerance, you won’t be too concerned about short-term fluctuations, and would likely opt for more a more aggressive allocation (more stocks, fewer bonds). Risk tolerance is highly personal. Risk tolerance, paired with investment timeline and your own personal goals should be considered together as you determine the asset allocation for your investment portfolio. Volatility: This refers to how much the value of your investments can be expected to fluctuate over any given time. Generally speaking, stocks are more volatile than bonds. Yield: Yield, like “return” refers to how much money you make from an investment. It is often used when referring to bonds, but can refer to any investment profit. Individual Investment Account: An individual investment account is simply an investment account that you hold for purposes besides retirement. 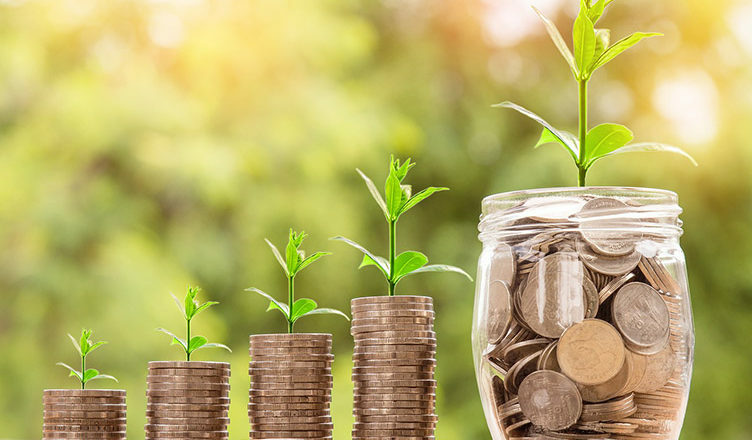 Whereas retirement accounts come with tax benefits (namely, that you do not pay capital gains taxes on your profits), individual investment accounts do not come with these tax benefits. A brokerage account operated through a service like Fidelity, Scotttrade, or E*Trade, for example, are all individual investment accounts. Individual Retirement Accounts (IRAs): An IRA is a retirement account that anyone can open, whether they have an employer or are self-employed. They come in two flavors: Traditional IRA and Roth IRA. If you have a traditional IRA, then you do not pay taxes on the money you invest until you withdraw it during retirement. If you have a Roth IRA, then you pay taxes on the money you invest up front, and then do not pay taxes on t during retirement. In 2017, individuals could contribute up to $5,500 each year into an IRA account (up to $6,500 if you are over 50 years old). 401k: A 401k is a retirement account specifically sponsored by your employer. You can only invest in a 401k if you have an employer that has access to a plan. Like IRAs, they can be either a traditional 401k (taxed in retirement) or a Roth 401k (taxed up front). In 2017, individuals could contribute up to $18,000 each year into a 401k account (up to $24,000 if you are over 50 years old). 401ks often come with an additional perk when compared to IRAs: Namely, an employer match. If your employer offers a match, you must first make contribution to your 401k account. Your employer will then “match” your contribution, usually up to a certain dollar amount of percentage of your income. 403b: A 403b is essentially a 401k, but for public school teachers, non-profit workers, and employees of certain other sectors. They work the same way as 401ks, with the same contribution limits. You can have either a Roth 403b or a traditional 403b. Similar to 401ks above, many employers will offer an employer match for 403bs. Bond: A bond is essentially a portion of debt. You can invest in company (corporate) bonds or government (federal, state, or municipal) bonds. By investing in a bond, you are lending money to a company or government at a guaranteed interest rate. Though they are typically considered “safe” investments, bond values can fluctuate just like stocks, though typically with less volatility. And if a company or government entity goes bankrupt, you also face the possibility of losing money or receiving reduced profits. Cash: This refers to, well, cash. It is the “liquid” part of your portfolio which you will use to make investments (by buying stocks and bonds, etc.). 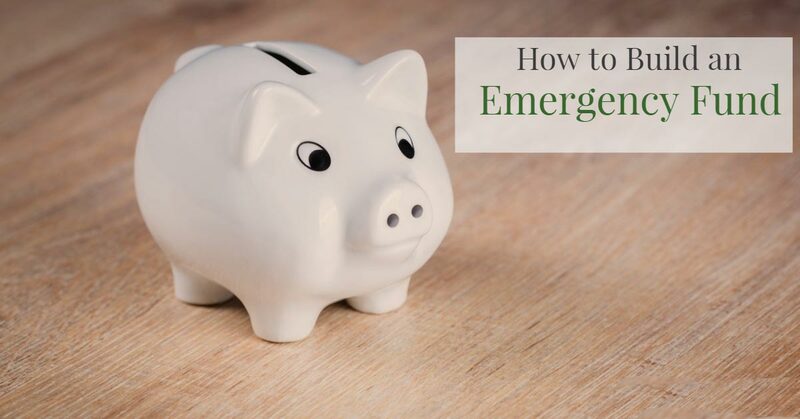 Cash held as a part of an emergency fund should not be considered a pat of your investment portfolio, since the primary purpose of that money is to be available to you when you need it—you shouldn’t risk it by investing it. Certificate of Deposit (CD): A certificate of deposit (CD) is often considered a very safe investment, and is very close to cash in terms of what it is. Investing in a CD is a lot like making a deposit into a savings account: The bank agrees to pay you a certain amount of interest on your deposit, and in exchange you are unable to touch (or withdraw) the money for a certain period of time (often three, six, 12, or 18 months or more). Typically, the longer you agree to leave your money in a CD, the more you will earn in interest. Commodities: Commodities are physical goods that you invest in, with the hope that they will rise in value before you decide to sell them. Gold is a commodity, as is corn, chocolate, coffee, tin, and lumber. Though it is possible to make quite a bit of money investing in commodities, this usually requires an intimate knowledge of a certain market or sector, and for that reason I highly recommend that beginner investors stay away from commodities. Emerging Market: The term “emerging market” refers to markets outside of the United States which you may decide to invest in. The term typically refers to developing countries like China, India, parts of Africa, and South America, while excluding most of Europe and places like Japan (which are more established). Investing in emerging markets is popular and allows investors to potentially make a lot of money, but it also carries with it a lot of risk. Because you never know what political crises may arise, it is always possible for you to lose all of your money while investing in an emerging market. For that reason, if you are going to invest in emerging markets, you should strongly consider investing in multiple countries in multiple regions. Index Fund: An index fund is a type of investment that is meant to be reflective of a certain stock (or bond) index. By investing in an index fund, you are able to diversify your portfolio because, in essence, you are purchasing a portion of stock in each company that is a part of that index. For example, by investing in an index fund that is modeled after the S&P 500, you are investing in all 500 companies that make up the index. By investing in an index fund modeled after the Dow Jones Industrial Average, you are investing in the 30 companies that comprise the index. By investing in an index fund that is modeled after the Russell 2000, you are investing in all 2,000 companies that make up the index. And so on and so forth. The main value of index funds is that they provide instant diversification, across a number of companies and sectors, and usually at low cost. Exchange-traded funds (ETFs) are often lumped in with index funds, though there are some differences. Real Estate: In investing, real estate refers to physical property that you are investing in, with the hope that it will rise in value (or provide an income). If you own a house, that is often considered a real estate investment. If you own apartment buildings that you rent out, that is considered a real estate investment. If you purchase land that you hope to sell to a developer years down the road, that is considered a real estate investment. A common way that investors invest in real estate without directly purchasing land or buildings is through a real estate investment trust (REIT), which is very similar to an index fund in that it is typically composed of multiple properties and types of properties. Investing in an REIT is considered less risky that investing in a single property, since it offers instant diversification. Stock: Stocks are essentially a portion of a company that is sold to investors. Buy purchasing a share of a companies stock, you become a partial owner of that company. People usually invest in stocks for two reasons. One is to provide an income stream through dividend payments. The other is to increase the value of their money by buying shares of stock at one price and then selling it when it is more valuable. The main types of stocks are large-cap, mid-cap, and small-cap, which refers to the size of the company you are investing in. Larger companies are usually seen as safer investments than mid- and small-cap companies, though all stocks carry a certain level of risk. If you’re a little overwhelmed, that’s completely understandable—investing can be confusing, especially when you’re first getting started. Luckily, there are a lot of ways that you can make taking your first steps a little bit easier. Before you get started with serious investing (building a portfolio from scratch, buying individual company stocks, etc.) I would recommend you do a few things. This will help you start to get used to the idea of investing while allowing you to put your money to use growing, all while you continue to learn. 1. Open a retirement investment account through your employer: If you have access to a retirement account through your employer (in the form of a Roth or Traditional 401k or 403b) then you should open one—even if you know nothing about investing. Why? For starters, because these accounts are tax-advantaged, which means you save money investing in them compared to other kinds of accounts. Also, many employers offer at least some sort of company match, which is essentially free money invested on your behalf. Think of it as guaranteed returns, which you won’t get anywhere else. But just as important: Many employer-sponsored retirement accounts open up access to target-date funds, which are built with your particular age in mind. These are especially helpful for newbies who would have no idea about how to build their own portfolios. 2. Use technology to your advantage: Technology has come a long way in the last five or 10 years. 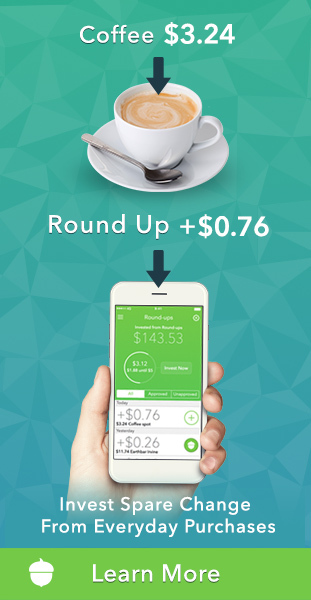 Getting started investing is now as easy as finding and downloading an app onto your smartphone. These programs not only make investing more convenient—they’re also a lot cheaper than traditional advisers or brokerage accounts. When it comes to choosing an app to get started investing, you’ve got a lot of options available to you. Services like Robinhood, Stash, Wealthfront, and Betterment all make it easy to start investing. 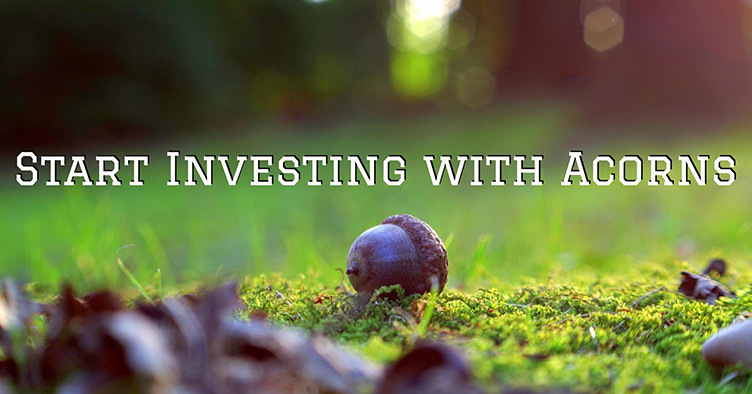 Personally, my favorite investing app (and the one that I use for the bulk of my investments) is Acorns. I’ve written a pretty full review of Acorns here, which I encourage you to read if you’re at all interested. 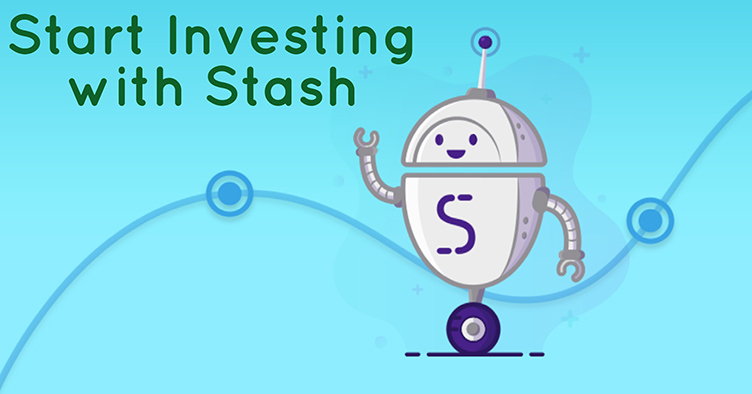 I also use Stash to experiment with buying and selling stocks that match up with my interests. If you want a little more hands-on investing experience, they might be better for you. 3. Just get started: The single most important piece of advice, when it comes to investing, is to just get started. Yes, you’re likely to make a few mistakes along the way (I know I have!) but the longer you are in the market, the longer your money has to grow. And the sooner you start, the sooner you’ll start learning all the different ins and outs, making yourself smarter and better investor. If you want to make money investing, the only secret is to start early and to continue doing it consistently over the years. That’s honestly it. 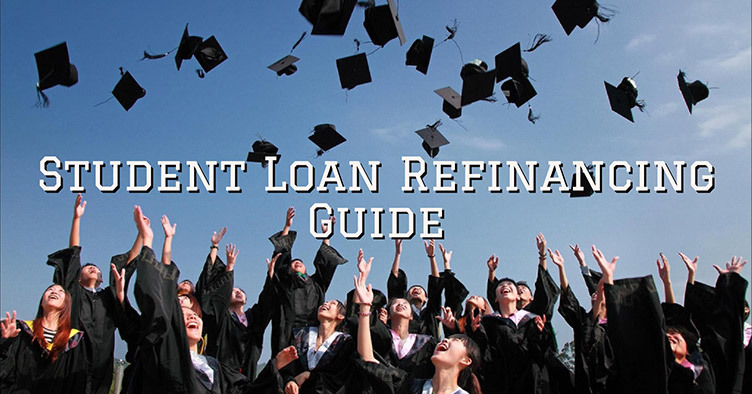 By using the investment definitions above, you should be able to begin wrapping your head around the many investment options available to you. But this is just the first step in a lifelong process. Every investor knows that, if you want to be successful in reaching your financial goals, then you’ve got to continue learning. To that end, I’ve pulled together a list of my favorite financial websites for college students and beginners. They are all really great resources that can help you learn a lot and refine your investing goals and strategy, and I really encourage you to check them out! 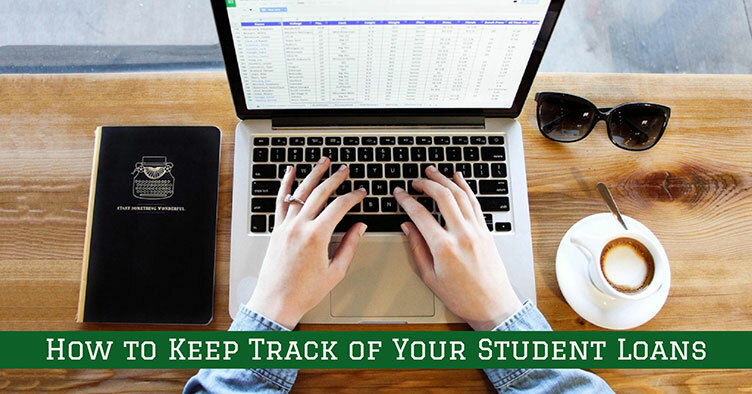 Looking for other helpful tools that can help you get your finances on track? Check out this list of amazing personal finance apps that can help you do everything from start investing to saving to paying down your debt and more! Thank you for sharing this such an important article with us. It’s really very helpful!